Friendships for Children with Special Needs: Is Your Child Ready? Is Your Unique Child Ready for Friendships? I was at a block party with my new neighbors last week. It surprised me that every neighbor who attended was either a parent of a child with a disability or working in the field. As we stood in the street comparing our experiences, all completely different, one neighbor of an Autistic boy told me that she was working towards helping her son find friends. I asked her, “Is that what he wants?” She jumped at me and said, “You told me friendships were important!” The comment surprised me because only moments earlier she was talking about how her son was able to participate in conversations when he was motivated. So I asked her again, “You are right, I do say friends are important. But is that something you think he wants and is ready for?” She was puzzled by that question and so was I.
I want to point out that I really enjoyed connecting with this mom. She was not in any way “angry” and she seemed like a great advocate for her son. She is what I would consider an ideal parent. The whole discussion really made me think about how parents go about making decisions about what is best for their unique children? How and where do parents get their information? How do they prioritize their efforts? There is so much talk about recovery in the Autism world. How deep should parents reach into their pockets to “fix” their child? Should an entire family go broke for the betterment of one child? Shouldn’t healing be free? Should parents sacrifice their marriage and the welfare of the entire family for the unique one? How do families survive? This conversation stayed in my mind for the next couple of days. What is the advice? I find that in spite of the access available through the Internet, parents are not very connected to each other. Why? Why don’t more parents know and attend the Abilities Expo, a place where Lorrin and I always found so much of what we needed? I don’t think they realize how much fun the events are and how much support is available. Where are parents getting their information? Each family is unique in its own. Most parents are barely surviving the enormous drain on every aspect of their lives. They are drained dealing with the many different social, emotional, medical and financial demands that plague them daily. There is the constant stress of dealing with new medications and the fear of how the meds will affect their child. Many are forced to make life-altering decisions that no parent expects to have to make for their children. All the while having to make sure both their unique and typical children are safe at school and at home. Just when they get the early years mastered, adolescence kicks in with an entire new set of dynamics: aggressiveness, size of the child and not to mention masturbation. No one ever talks about “that!” How does a parent talk about these very serious and sensitive subjects without feeling ashamed, judged or less than? All children go through these phases but when you have a child who is unique, you really need to get creative to find ways to cope with your unique child’s unique spin on all these growing pains. At that neighborhood gathering, I was asked how I coped. 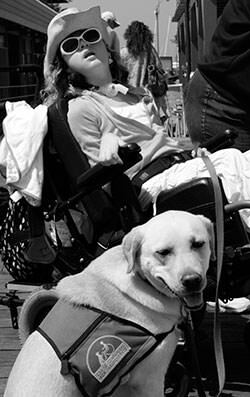 I shared with them that when Lorrin rolled into a room, everyone knew immediately that she had a plethora of disabilities. Early on in my parenting experience, I was stripped of any kind of hope for a typical parenting experience. My dignity and the life that I had envisioned and dreamed of was gone. It was Lorrin and I against the world. I spent years searching for a cure for Lorrin at a time when the aid of the Internet was not available. I paid tons of money to people who told me that they could “heal” her. I experienced many socially awkward moments in public when I was vomited on, pooped on, and even had phlegm and mucus shot all over me. (That one was too many times to count!) Not to mention countless moments when Lorrin had grand mal seizures at the worst possible times. I was humbled. I lost my dignity as a woman and a mother. I was stripped of my egocentric ideas of who I was as a woman. Along the way I learned valuable lessons: I couldn’t make decisions without following my gut. And I could not follow my gut without taking care of my spirit. I loved and was committed to Lorrin first and respected her as a soul second. 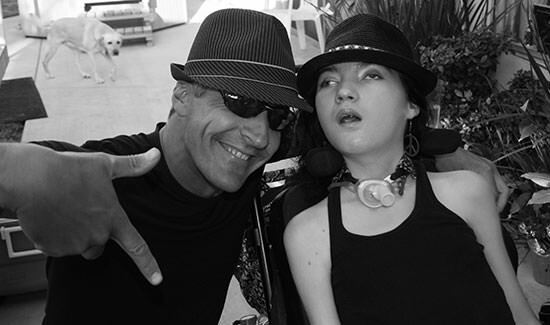 I tried to focus on her needs as a young girl living in a body with disabilities. I had to find the balance in it all; impossible, right? In the beginning, I reached out to everywhere that I could to get support. I talked to everyone that I met, asking questions about the many new medical terms and treatments that were completely foreign to me. I had no medical experience and modern medicine gave me little hope of help for Lorrin. I was willing to do anything to help my baby and I dove into alternative therapies and treatments. After years of trying to “fix” Lorrin, it became obvious that she was perfect just the way she was—in all of her brokenness. I needed to look at her differently. I needed to reach beyond the obvious—the broken body. I needed to understand her purpose as a soul. I found myself asking, “What did Lorrin come here to do in this very challenging body?” I needed to ask myself about the many lessons that she came here to teach me, and others. I was starting to understand that this was not all about me. Lorrin was teaching people just by entering a room. There is a fine line in healing. I now believe that many healings and miracles took place in her short life. She taught me to love endlessly and unconditionally. She had courage for the both of us. I watched as she held her head up high fully while enjoying the many milestones of being a young teen. Lorrin was totally comfortable with who she was and had a great love and faith in God. She was my greatest teacher and magic happened every day just by being in her presence. As 2013 approaches, a time where much talk and fear of the end of the world is near, I believe in a new tomorrow filled with the blessings and lessons of love from our unique children. It is my belief that they have come to teach us love and compassion. Love for ourselves first and love towards all. They come in many different forms and uniqueness living each day with courage. I learned more in my 16 years of being Lorrin’s mother than I could in many lifetimes. I lived big and cried hard. 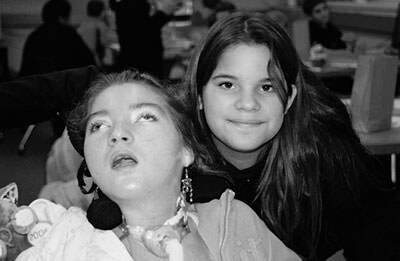 I cannot and will not tell parents that this journey is an easy one, but today I look back and can tell you that Lorrin and I lived, we really lived. It is my best advice that parents change their perspective from fear and anger to love and acceptance. Being in the moment is key and communicating with your children and respecting them will pave the way towards a very happy journey. Accessible Dreams Do Come True!